In its effort to regain control of its message, the White House has curtailed press briefings, redirected questions on the Russia investigation to an outside lawyer and planned a major infrastructure policy rollout for this week. But as long as President Trump has a smartphone, no White House strategy is safe. The sun was still rising Monday when Mr. Trump upended best-laid plans with a blitz of provocative statements delivered via Twitter. 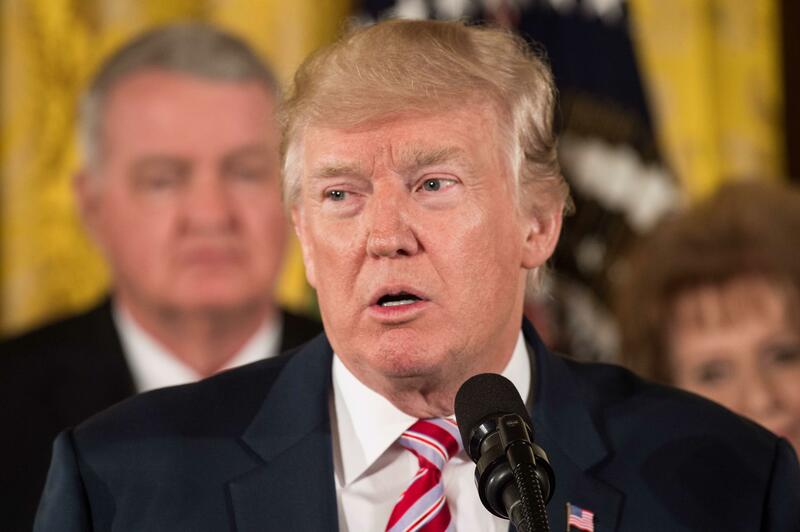 He assailed his own Justice Department for its legal strategy to defend his travel ban, potentially creating new headaches as his administration seeks the Supreme Court's backing for the order. And he renewed his criticism of the mayor of London, a city recovering from a weekend vehicle-and-knife attack that left seven people dead. His wife took a different approach. During a Monday morning appearance on the "Today Show," Kellyanne Conway condemned the media's "obsession with covering everything he says on Twitter and very little of what he does as president." Mr. Trump supporters have long touted his unfiltered tweets and other communications as an unparalleled advantage. Yet some allies are now urging caution given the legal questions shadowing the White House. White House director of legislative affairs Marc Short, meanwhile, insisted the president's efforts were "often very effective" and said Mr. Trump was elected because voters were hungry for a non-conformist candidate who would change the culture in Washington. A trio of top White House officials -- chief of staff Reince Priebus, chief strategist Steve Bannon and senior adviser Jared Kushner -- had been making plans to create an in-house "war room" to respond to the flood of revelations related to the FBI and congressional investigations. Both Corey Lewandowski, Trump's former campaign manager, and David Bossie, another former Trump campaign hand, had been under consideration, but it appears increasingly unlikely either plan to formally join the administration. The cloud of investigation -- the very thing a White House war room would be set up to handle -- has put even some of Mr. Trump's backers and potential defenders in an uncomfortable position. One active supporter of the president said that while he was willing to defend Mr. Trump in public against allegations from Comey or Democrats, he was less comfortable weighing in on specific claims about Kushner's interactions with Russian officials. An administration official disputed that there was reluctance to defend Kushner, the president's son-in-law. The official noted that several top administration officials -- including Homeland Security Secretary John Kelly and national security adviser H.R. McMaster -- have vouched for him.